How should historians read sources which record inquisitorial trials in the Middle Ages? How can we understand the fears felt by those on trial? 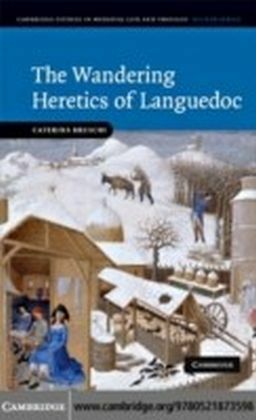 By analysing six volumes of depositions in the trial of Cathar and Waldensian heretics in Languedoc between the late twelfth and the fourteenth century, Caterina Bruschi challenges old methodologies in the study of dissent. She examines the intrinsic narratological problems related to the sources and, using approaches from the social sciences, analyses the different fears felt by deponents and how those fears affected their actions and decisions. In so doing, she sheds light on itinerancy within the ecclesial structure of non-conformist movements and contextualises the problem of itinerancy as a benchmark for the definition of heresy. Focusing on the lives and attitudes of trial witnesses, this innovative account is a major contribution to our understanding of the nature of religious non-conformity in the Middle Ages.